Take a kadai, pour required cooking oil. Add onion, tomatoes, 10 dry chilles and saute till oil separates from it. On this add all masala powders and saute till oil separates from it. Add cleaned chicken pieces and boil with water after cooking and keep aside. For better taste fry some curry leaves in coconut oil and garnish. 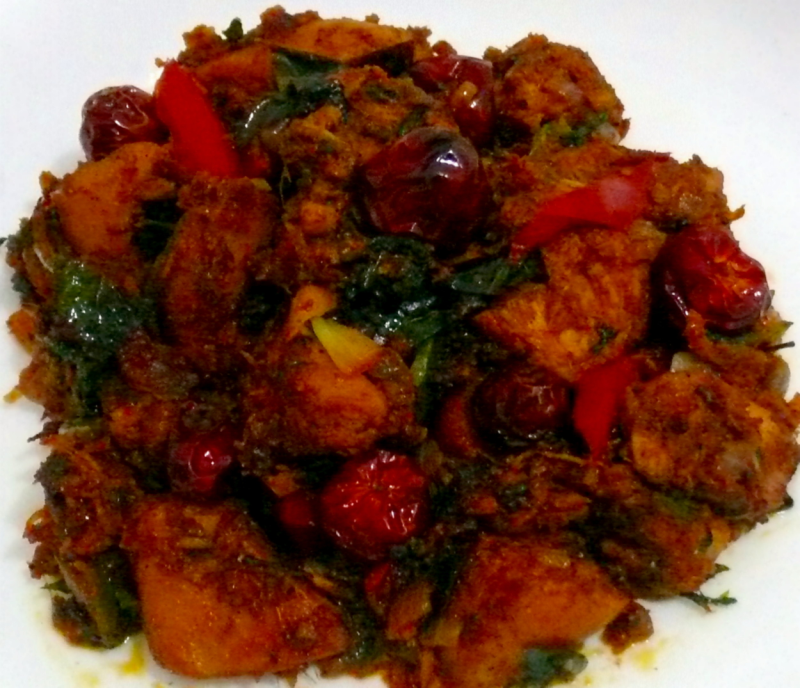 Now tasty Kadai Chicken Masala curry is ready to serve. its nice recipee easy to make n good in taste..
Add little spring onions and chopped red orgreen capsicum a min before turning off the flame.See that this chicken should not be dry but with masala gravy.